The first models of the 288 series came on the market between 1970 and 1971. 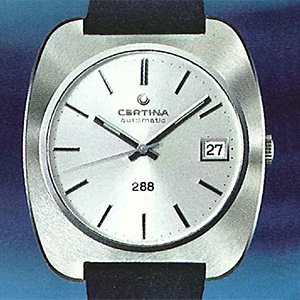 Early models had the 25-671 movement (with day indicator) or the 25-672 (day and date) inside. 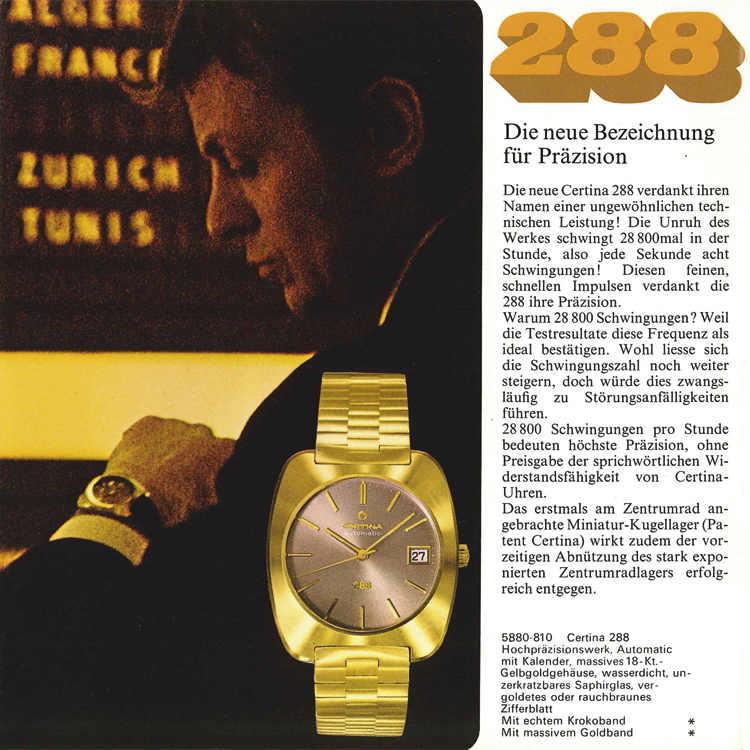 From 1972, the overworked 25-681 and 25-682 movements were used. Compared to its predecessors – which were produced only in small quantities – these movements had a modified form of the ball bearing and an additional retaining screw. 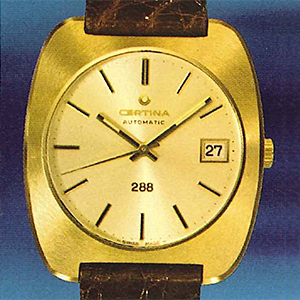 The “288” on the dial indicates the increased oscillatory rate of 28,800 A/h (“Alternance per hour”). I believe the model 288 was originally planned to be the culmination of the development up to that point. 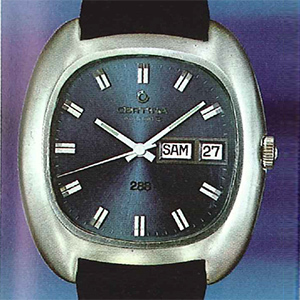 Although the DS-2 was still in the collection, those timepieces had to make do with the “old” movements. The new movements were so-called high-beat movements, meaning the beat rate was increased from 19,600 A/h to the current rate of 28,800 A/h. Due to the higher frequency, it was expected that the accuracy would be improved. But as a consequence, larger forces acting on the movement could have led to premature wear of the clockwork. To counter this effect, the staff of the barrel was mounted between two jewels (in the plate and barrel bridge). 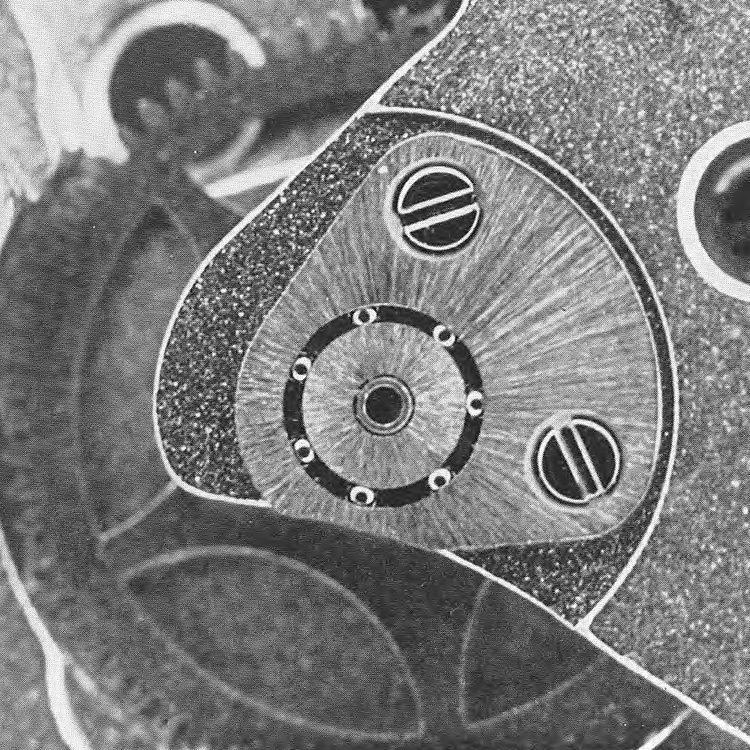 In order to keep the work as flat as possible, the clockwork bridge had recesses in which to slightly sink the gears of the automatic mechanism. The biggest change was the bearing of the second-wheel pinion and the cannon pinion in a micro ball bearing, which had a diameter of only 2.2 mm. Each of the seven mounted balls inside had a diameter of only 0.3 mm! 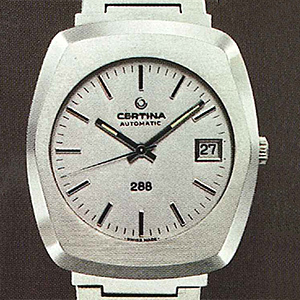 This micro ball bearing was manufactured exclusively for Certina by the Otto Walther ball bearing factory, which was located in Tavannes. 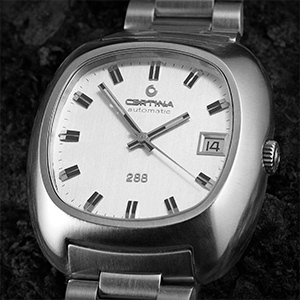 In addition, the timepiece included the Certina-patented “Clineric 21” anchor escapement which had a special escape wheel with 21 notches. 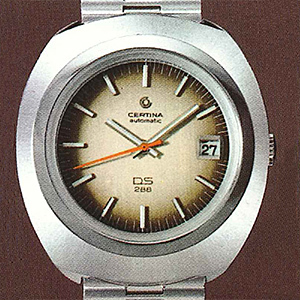 The movement is technically very interesting and is robust, as is typical of a Certina. 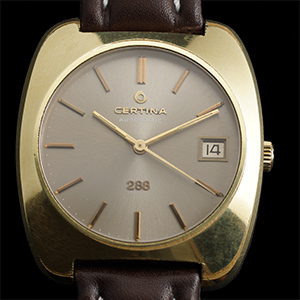 Overall, there were four different watch case forms, which you can clearly assign to the 1970s. 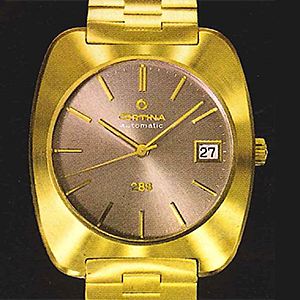 For each model, several dial variants were available. All models now had sapphire crystals, the “DS” version (Ref. 5801 500) further the approved “DS” system, in which the whole movement assembly is float-mounted in the case by means of an elastic anti-shock ring made of synthetic rubber. This version also has the well-known corrugated case back with the turtle logo on it. You had to do still without a hack mechanism or a date quickset. 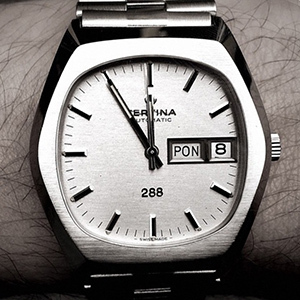 The date could be set by turning it forwards and backwards between 23 and 24 o’clock, as with the 25-651. 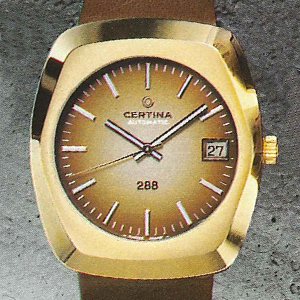 At the time of the launch of the 288 models, the quartz crisis had already begun, and so a relatively short market presence was granted to these models. Well-preserved specimens are, therefore, hard to find. 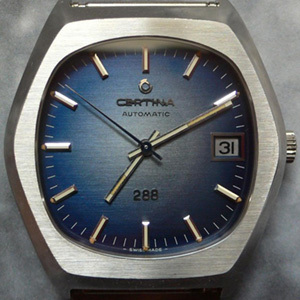 In many watches, during the course of an overhaul, the high-beat movement was replaced with an ordinary 25-651. So if you’re thinking about buying such a model, I suggest you make sure to first take a look inside the watch.